The number of wealthy Chinese with a net worth of 100 million yuan (US$16 million) or more maintained double-digit growth, and healthcare now tops their biggest concern, according to the Hurun Report. Despite a slowdown in the economy, surging home prices in first-tier cities drove 10.7 percent growth in the number of Chinese high net worth individuals (HNWI). 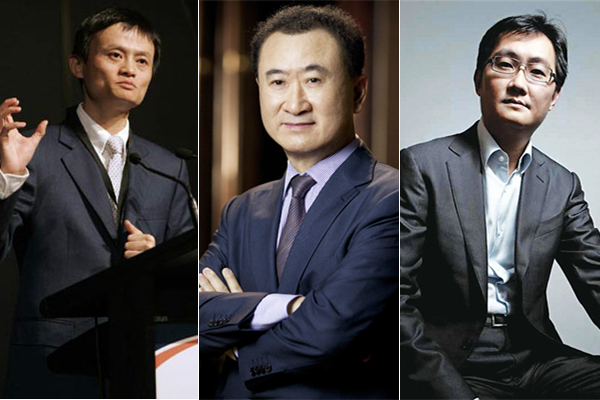 There are now about 89,000 ultra-rich worth 100 million yuan or more in the country, about 11,000 more than last year, a growth rate of 14.1 percent. The Southern province of Guangdong overtook Beijing for the first time as home to the biggest number of wealthy individuals, with 240,000 who have 10 million yuan or more, a growth rate of 17.65 percent. Guangdong, Beijing, Shanghai and Zhejiang had a total of 843,000 individuals with 10 million yuan or more, accounting for 63 percent in the nation. Bank deposits, property and insurance remain the three main avenues for financial investment. In comparison with last year, the main topic of concern for Chinese HNWIs was healthcare, followed by financial investment and sports. In the report, 57 percent regarded retiring in their own home as a first choice, followed by senior living communities at 28 percent and community-supported retirement at 8 percent. One noticeable change was the falling number of respondents opting for home retirement and a rise in senior living communities. The report also showed that 95 percent of HNWI respondents owned commercial life insurance. The average annual premium paid was 37,000 yuan, suggesting that the total was 47 billion yuan. HNWIs buy commercial life insurance mainly because government social insurance that provides only basic coverage to the population as a whole has little relevance for them, according to the report. Ecns.cn contributed to the story.